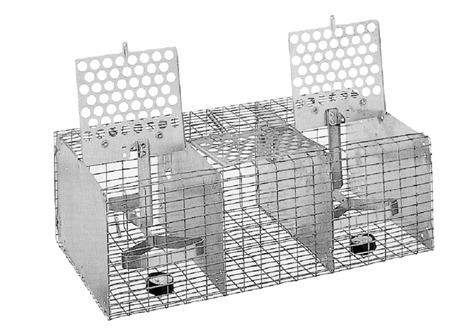 Rid your area of House Sparrows with this two trapping chamber bait trap. Place bread, millet or fill with nesting material in the chamber. Works well on the ground away from bird feeders, or near bushes. Does not harm the bird. Comes fully assembled with a quick-release pole mounting brackets and two bait dishes. Overall dimensions 18" L x 10-¼" W x 6-¼" H.
A mix of cracked corn and white millet is a tasty meal for House Sparrows.